Chronic Def Jam Recordings rap supreme and all-American TV and film regular Redman is a true legend of the genre. After break that saw him win success and worldwide recognition in major feature films, network and cable television in the US and UK, video games, cartoons and of course mix tapes – Redman got right back the game where he belongs. Red Gone Wild – Thee Album launched with its first single pick ‘Put It Down’ produced by Timbaland, and was the long-awaited follow-up to Redman’s previous album, the RIAA Gold-selling Malpractice, and features the singles ‘Let’s Get Dirty (I Can’t Get in Da Club)’, ‘Smash Sumthin” and ‘Diggy Doc’. That same year, Redman joined Method Man for one of the all-time great stoner comedy movies How High, and writer-director Lawrence Page’s Statistic: The Movie. In 2002, Christina Aguilera enlisted Redman to join her on one of his biggest career moves, the worldwide #1 single ‘Dirty’, subsequently nominated for a Grammy and three MTV VMAs. 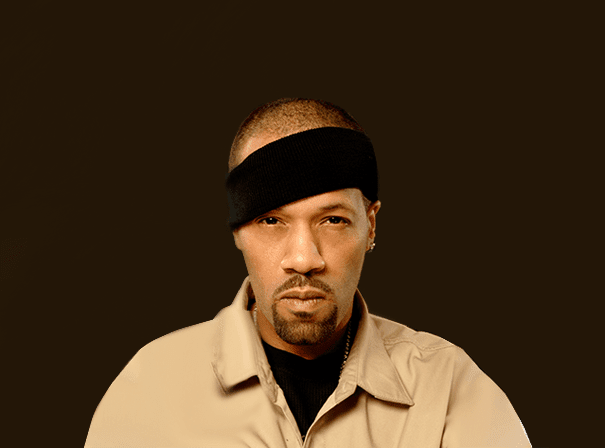 Redman was quickly signed to the Def Jam label way back in 1992 when he released his debut album. It album made #1 on the R&B chart and was certified Gold after a string of hit single tracks such as ‘Blow Your Mind’, ‘How To Roll A Blunt’, ‘Time 4 Sum Aksion’, ‘Tonight’s Da Night’, ‘Rated ‘ and ‘I’m A Bad’. This early success led the hip-hop magazine The Source to name Redman the Rap Artist of the Year and now years later he is still very much up there with the best of them.